Chocolate is the kind of thing that can easily become the best friend of another thing. Take coffee for example. Chocolate and coffee, that’s a winning team right there. You know what else chocolate is a great companion of? Bananas. 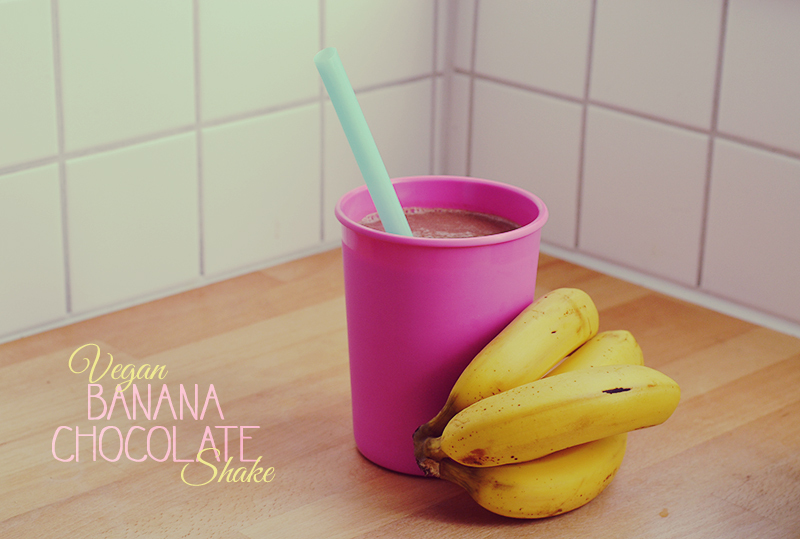 My favourite smoothie to enjoy for breakfast on the weekends is this banana chocolate shake. If you can get your hands on the Hazelnut Almond Praliné milk from Rice Dream that I use in this, then hord that stuff like your life depended on it. It’s crack. 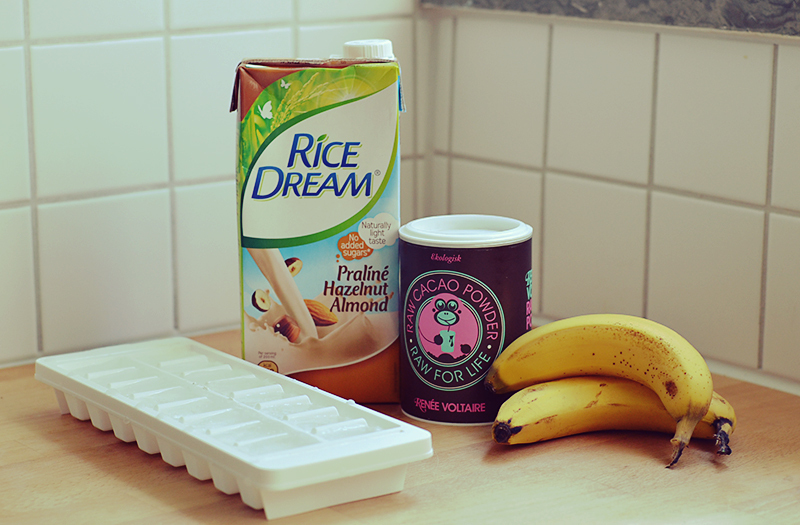 Throw all the ingredients in the blender and give it a buzz. 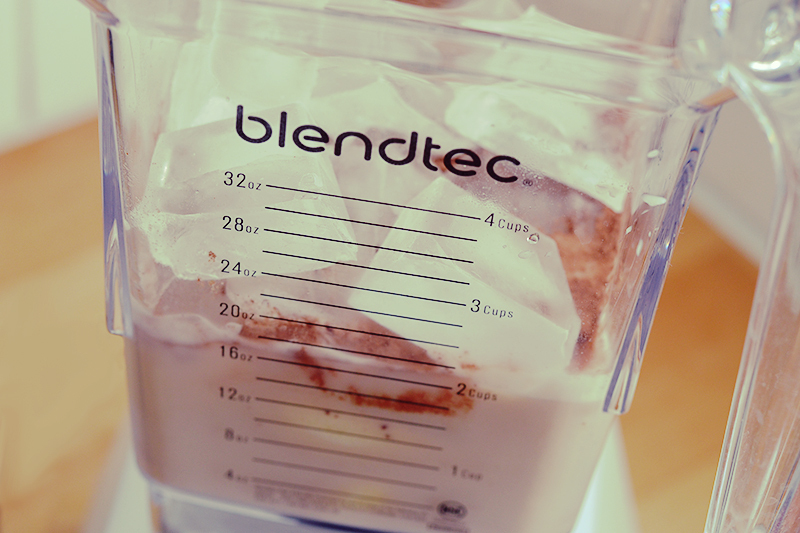 Depending on the strength of your blender you may need to run it a couple of times to reach desired consistency. Pour into a big glass, stick a straw in it and enjoy!